From October 16 – 20, the 2012 San Antonio International Piano Competition hosts the first performances of Paul Moravec’s new piano work Upsparkles. 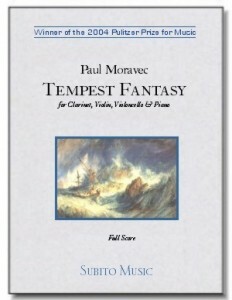 For a look at Moravec’s inspiration, the composer has supplied the following visual link – click here to learn more. More Moravec happenings: On October 2, the newly formed Mannes American Composers Ensemble (MACE) gives its inaugural concert and offers the New York premiere of the composer’s Capitol Unknowns, conducted by music director Lowell Liebermann. On October 14, Moravec’s Pulitzer Prize-winning work Tempest Fantasy will be featured in performance by Music From Copland House, the resident ensemble of Copland House – the national landmarked-home of Aaron Copland. Tempest Fantasy was also recently performed as part of the September 2012 season-opening concert of the Trinity Church (Wall Street) mini-festival of new music. September also brought pianist Anthony de Mare’s continuing tour of Moravec’s I Think About You, which was commissioned as part of de Mare’s “Liaisons: Re-Imagining Sondheim” project; and, Moravec, himself, recently took to the keyboard and joined soprano Carole Farley at the New York Chamber Music Festival in a performance of his Vita Brevis at Symphony Space. Upcoming: On November 5, Kent Tritle and the Oratorio Society of New York offer the New York premiere of Moravec’s The Blizzard Voices at Carnegie Hall.